The Week of Science and Technology is the most extensive science festival in the Czech Republic. The 2018 Week of Science and Technology will run from 5-11 November 2018. We sincerely invite you to come! 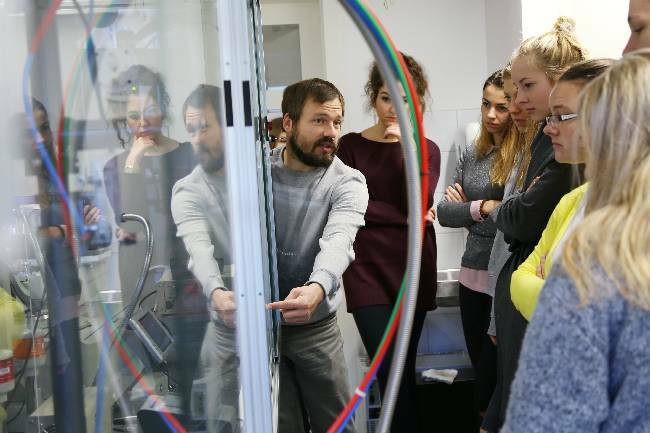 The programme for the Week of Science and Technology of the Czech Academy of Sciences offers events all over the Czech Republic – in every regional seat and many other places. You will have the opportunity to attend lectures, exhibitions, excursions, science cafés, the screenings of documentary films, look into scientific workplaces, laboratories and libraries and learn how science is conducted. In the mornings, the lectures and excursions are aimed mainly at secondary-school students. The afternoon and evening lectures and accompanying events are prepared for the wider public, but follow the information for the individual events, because only registered visitors have access to the majority of the programme. Centre for Administration and Operations of the Czech Academy of Sciences is an independent legal entity of a not-for-profit character, whose aim is to ensure the infrastructure of research and development and provide supporting activities particularly for the Czech Academy of Sciences and its 54 public research institutes.